Newland Communities announced today they will soon be welcoming Terrata Homes, a new home builder, to the master-plan community of Estrella. 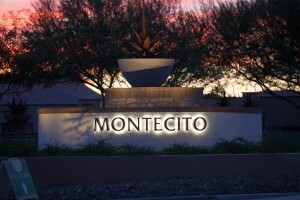 The project consists of 92 home lots in the Montecito community located just past Estrella Foothills High School on Estrella Parkway. No matter the floor plan or community, every Terrata Home includes stainless steel kitchen appliances, a covered outdoor kitchen, soaring ceilings, estate-sized lots and beautiful landscaping to create the curb appeal you desire. Terrato is known for their close attention to detail on both the interior and exterior of the home design. This newest community will compete with the following current Estrella new home builders: David Weekley Homes (with the T.W. Lewis collection), William Ryan Homes, Shea Homes, KB Homes, Beazer Homes, Gehan Homes and AV Homes. Terrata will be offering Estrella residents four floor plans options. All plans will feature larger than 2,000 square foot homes which will sit on 65-foot-wide lots. David Weekley Homes offers the largest home lot option in Estrella at 80-foot-wide. This is Terrata’s first n ew home project in the state of Arizona. However, Terrata’s parent company, LGI Homes Inc., is currently building out a communities in Buckeye, Phoenix, and Tuscon, Arizona. Terrata represents LGI Homes higher end product, and the Texas-based new home builder has built out new home communities located in Houston, San Antonio, Denver and Charlotte. Terrata was established in 2003. Newland has not released information as to the expected opening date of this community. Like us on Facebook or follow our blog for future updates. For more information on why you should consider taking your real estate to your first model home visit, visit 11 Reasons to Call Us Before You Visit Model Homes in Goodyear AZ. Todd and Amanda Kortright have been Top Producing Goodyear and Estrella Mountain real estate agents since 2005 and know the markets inside and out. 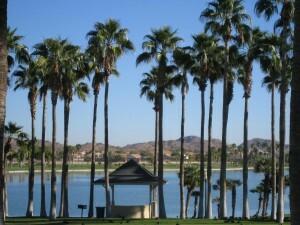 If you would like to buy or sell real estate in Goodyear, Arizona, please contact us at 623-256-7949 or 623-980-6812 or send us a message here. Kortright Group’s Blog is the most comprehensive online source for Goodyear and Estrella Mountain information. Whether you are looking for the latest sales, trends or homes for sale in Goodyear, Kortright Group’s website has it all at your fingertips. Browse information regarding the Estrella Mountain Ranch Communities, Goodyear New Construction Homes, Palm Valley Homes, Pebblecreek Active Adult (55+) Homes plus much more.